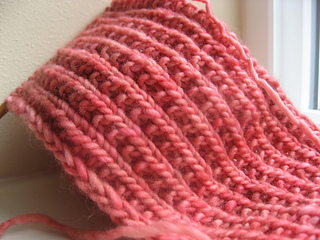 Simple pattern with an interesting result - would work in most weights of yarn, just change the number of stitches cast on and the needle size. “Cast on a multiple of 3 sts (plus one on each edge for a selvage). The pattern repeat is just K2, P1 - on both sides. Because you are working with an odd number of sts, you get a column of knit sts, a column of purls, and a column of moss st. 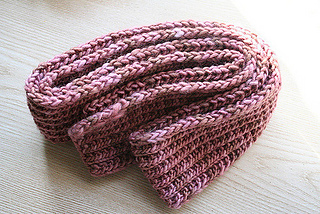 It pleats itself and its reversible, but its very flexible.